There are three types of reserves: print, electronic, and equipment/conference rooms. Please refer to the SHSU Policy on the Use of Copyrighted Works Placed on Reserve and the Use of Audio/Visual Material in Distance Learning (rev May 2016). Instructors may complete this convenient form online, then print it and deliver it to the Library along with (if applicable) any personal books, article copies, etc. to be placed on reserve. Search for Print Reserves by instructor, course number, or course name. Print reserves includes books, CDs, and files containing book chapters, class notes, articles, tests, etc. These materials have check-out times that are specified by the faculty member who has placed them on reserve. Most reserve items are in-building use only for 2 hours. Only 3 reserve items may be checked out at one time. Reserve materials cannot be renewed. Print reserves may be checked out at the Library Service Desk on the second floor of the Newton Gresham Library. 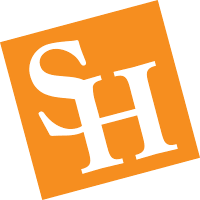 An SHSU I.D. is required in order to check out reserve materials. Reserve material with hourly checkout accrues overdue fines at a rate of $0.25 per hour per item. Reserve material with daily checkout accrues overdue fines of $3.00 per day per item. There is a $25.00 maximum fine per item. Electronic reserves includes book chapters, articles, class notes, tests, etc. Although some are also located in print reserves, most are not. You must be an enrolled student, faculty, or staff to access this material. Students must receive the password for the course material from the instructor. Get more information about conference rooms and study carrels. Learn more about borrowing wireless laptops for use in the Library.